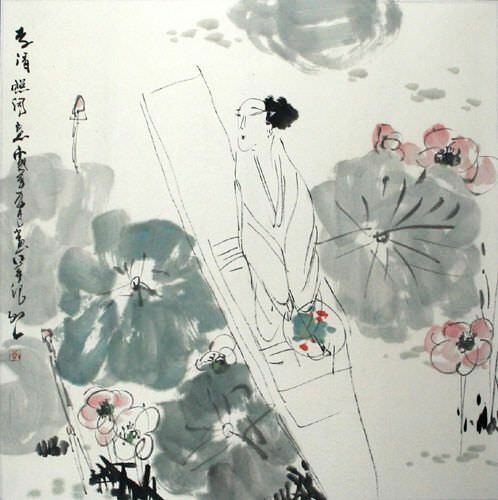 Artwork Panel: 67.3cm x 68cm ≈ 26½" x 26¾"
Silk/Brocade Border: 77.3cm x 78cm ≈ 30½" x 30¾"
This painting features the female poet named Li Qing-Zhao. She lived from 1084-1151 A.D. 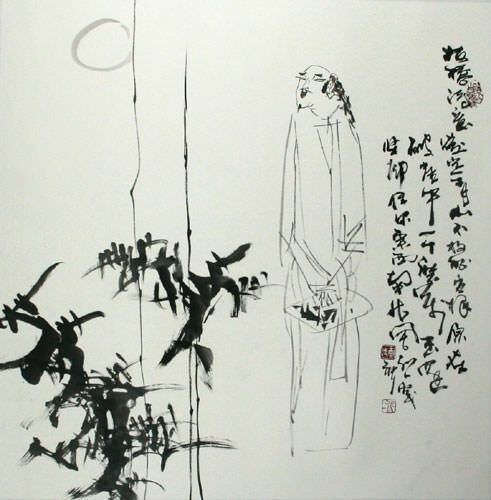 The title of this painting is simply "Li Qing-Zhao" which means "Li Qing-Zhao (having a) Poetic Idea". I suppose you could call this the state of mind you are in when you feel like writing poetry. It's kind of a romantic state for some. 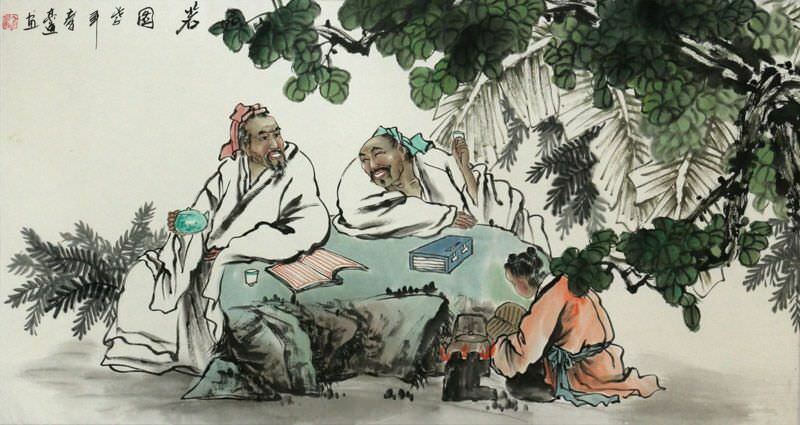 Also indicated in the Chinese characters is the fact that this was painted in 2006 as well as the artist's signature.